Crazy Genie is just that…mind satisfyingly crazy! Why? Because this fun and exciting game from Red Tiger Gaming comes with a generous 5 bonus rounds to both keep you involved in the game and give some extra chances of winning! 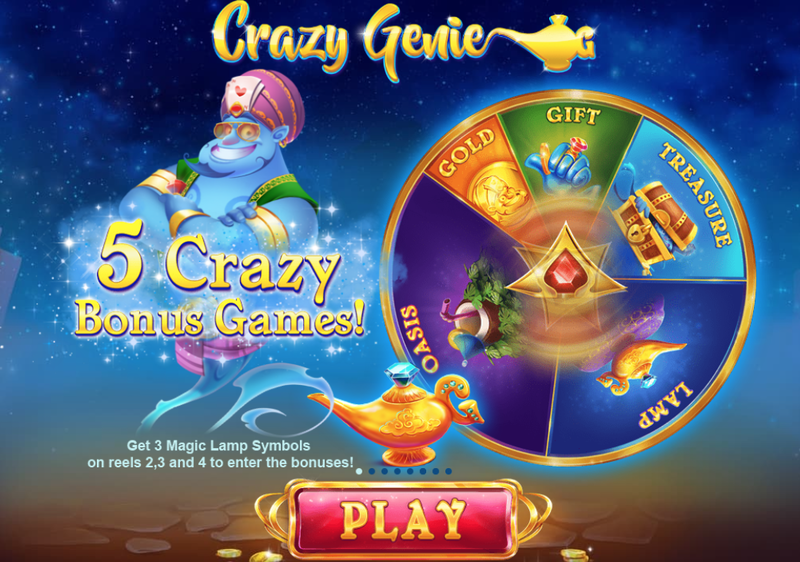 That crazy Genie will certainly bring a smile to your face when you find out that this game can provide a high return on your initial stake through a simple rubbing of the lamp and spinning of the reels. There are random cash prizes to get your hands on as well as free spins, so it is certainly worth getting behind the magic here! This game is optimised to work well on moblile devices to make spinning with the crazy Genie even easier! Discover more games like this on Easy Slots. Red Tiger gaming have provided online-slot machines to the market since 2014 and provide high quality gaming to players in both Europe and Asia. They are well known for their iconic branding which encompasses the strong head of a red tiger! Look out for their games across a range of online gaming platforms and casinos. What makes their content so appealing is the fact that they specialise in developing high quality slot games to play online – aiming to create iconic and creative themes for their players. 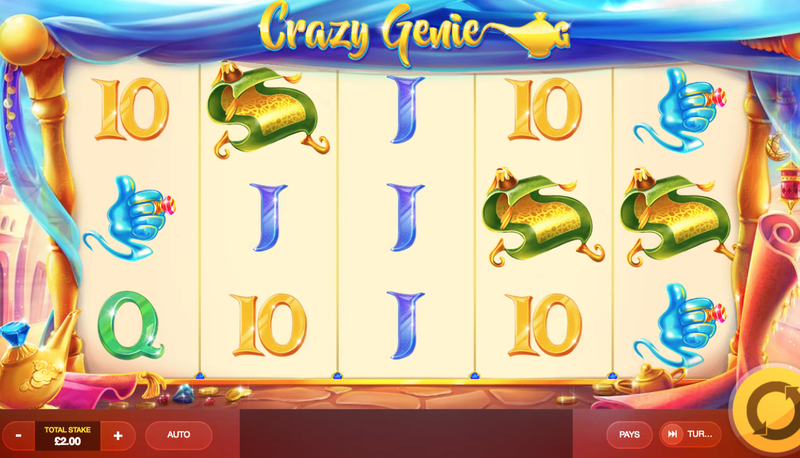 Like many of their games, Crazy Genie is made for the masses with potential to play on low bets but also to win big as well as fantastic slot promos! Crazy Genie comes with the standard 5 reels and 20 payline set up but with much excitement to keep engagement high! The symbols in the game reflect such magic and you will see these appear on the reels as they spin round – captivating your thoughts and mustering up the magical Genie that lies within. These include a magic carpet, a hissing cobra snake; scimitar swords and the Crazy Genie himself! The wagers for this online slot game start at 0.20 credits and go up to a maximum of 500.00 coins – making it the perfect bit of magic for newbie spinners, all the way up to long term spinning fans! The bonus rounds are triggered by identifying 3 shiny lamps on reels 2,3 and 4. As mentioned earlier, there are 5 bonus rounds – selected by a momentary wheel of fortune. These bonus rounds include: 6 free spins, instant wins through picking symbols. Also, there’s the opportunity to whack the piñata lamp or rub the golden lamp to win bonus cash prizes! There is good return for players who stick out a ride on the magic carpet here! In fact, the return to player average is a satisfying 95.32 % - giving you a fair return on those initial stakes! The theme is enjoyable with some great features to keep you involved with the game and win extra money. If you liked this slot, click easyslots.com for more like it!